Bill Stickman focuses his practice on appellate and commercial litigation. Mr. Stickman has served as lead appellate counsel on dozens of matters and has appeared before all levels of state and federal appellate courts. A former law clerk to the late Chief Justice Ralph J. Cappy of the Pennsylvania Supreme Court, Mr. Stickman has argued multiple appeals in that Court in its discretionary jurisdiction, as well as its original jurisdiction and under its King's Bench powers. Mr. Stickman is also admitted to the United States Supreme Court and has been counsel on multiple certiorari petitions. He also advises trial counsel on the preservation of issues before, during and after trial and in the formulation of post-trial motions. Mr. Stickman has a robust practice in state and federal trial courts. He as served as trial counsel in multiple cases, including jury trials, bench trials and other evidentiary hearings. He has represented a diverse array of clients, from fortune 500 corporations to family owned businesses and individuals. Mr. Stickman works with his clients to maximize results, while litigating in an efficient and cost-effective manner. In 2011 Mr. Stickman was nominated by the Pennsylvania Supreme Court to serve as one of fifteen members of the Pennsylvania Civil Procedural Rules Committee. The Committee works with the Supreme Court to draft, monitor and edit the Pennsylvania Rules of Civil Procedure. At only thirty-one, he was among the youngest lawyers ever to serve on that Committee. In 2016, the Supreme Court appointed Mr. Stickman to serve as Chair of the Committee. Mr. Stickman is active in legal scholarship. He is a member of the Selden Society. His publications include: The Kings Bench Authority of the Pennsylvania Supreme Court (The Pennsylvania Supreme Court in the Life and Law of the Commonwealth); The Practical Value of Legal History; An Independent Judiciary: The Role of Chief Justice Cappy, 47 Duq.L.Rev. 547 (2009); and An Exercise in Futility: Does the Inquiry Required to Apply the Ministerial Exception to Title VII Defeat its Purpose?, 43 Duq.L.Rev. 285 (2005). 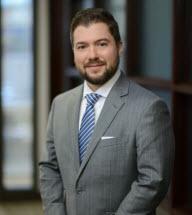 Prior to joining the Firm, Mr. Stickman served as a judicial law clerk to the late Chief Justice Ralph Cappy of the Pennsylvania Supreme Court and an associate at the Pittsburgh offices of Reed Smith LLP. He received his J.D. from Duquesne University School of Law, where he was a member of the law review. He received a B.A. in Classics/Ancient Languages from Duquesne University's McAnulty College of Liberal Arts, where he was the 2002 General Excellence Awardee (valedictorian). Mr. Stickman lives in the Pittsburgh area with his wife and three children. He is active in community organizations, his local parish and is an avid outdoorsman.